engaging in three hour runs to improve endurance for the fight! In fact, even twenty minute intervals with five minute rests means using 10 times the volume of the upcoming fight! 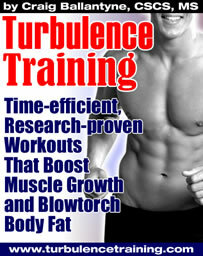 Athletes who believe excessive endurance training improves "wind" actually train the wrong energy system for the job. It would be like trying to improve 100 meter speeds by running 1,000 meter intervals! When performing anaerobic intervals, athletes should work as hard as possible for the duration of each interval. But perhaps more important, focus on the quality of the effort. After all, what's the point of doing repeated two minute intervals on the heavy bag if technique is atrocious? Two Hypothetical Anaerobic Interval Training Programs: Although two programs for anaerobic training are demonstrated, always make modifications as needed based on present performance capacity. For example, if someone is unable to go "all out" with an opponent for 30 seconds without falling apart, neither of the following programs will be appropriate. In turn, such an athlete must reduce the duration of the intervals, at least for now. The rule-of-thumb is to first establish quality, then increase quantity. Jim: strong, but needs better short-term endurance.